England go up against “Auld Enemy’’ Scotland in their Group F World Cup qualification Europe as favourites. 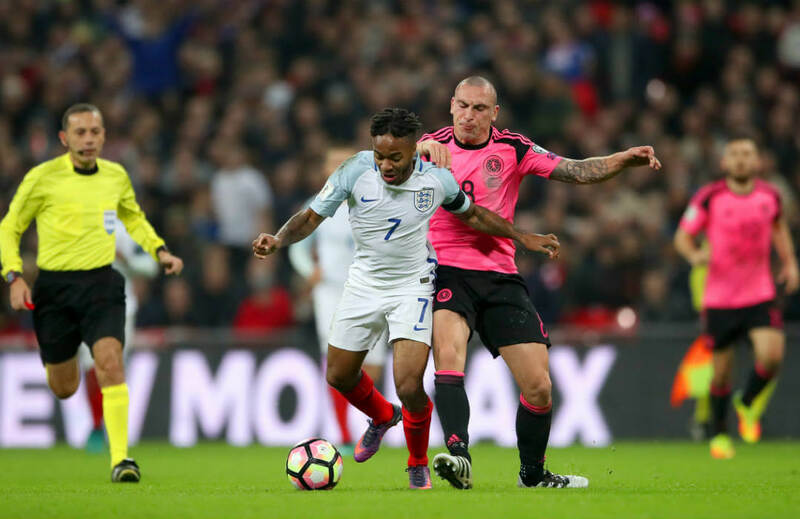 Gareth Southgate’s side loaded with star players travel to Hampden Park on Sunday with a mission to solidify their hold of the lead in the group. The unbeaten Three Lions are ahead with 13 points after five matches. Gordon Strachan’s side are fourth with seven points and are also looking to claim an important win at home. If the Scots win this one, they will have a good chance of qualifying for the 2018 World Cup in Russia but the Three Lions will be tough customers for sure. In their last meeting, England walloped Scotland 3-0 at Wembley Stadium. But Strachan does not see that as an obstacle, especially on the mindset of his players. His assessment about them downing England is upbeat. They will be coming into the contest buoyed by a 1-0 win at home, thanks to an 88th-minute goal from Chris Martin, over Slovenia, although England are also in high spirit after thrashing Lithuania 2-0 the last time out at Wembley Stadium. “People are in good form and we must use that, use their enthusiasm and the enthusiasm of the crowd,’’ he said, looking forward to an electric atmosphere when they battle the visitors at the venue where security is expected to be tight. Strachan is mostly relying on his Celtic players in the squad. Even as he calls England players as “wonderful,’’ he is hoping to get good performances from Craig Gordon, Kieran Tierney, Scott Brown, Stuart Armstrong, James Forrest and Leigh Griffiths. The Three Lions, without Wayne Rooney who was dropped by Southgate, will be led by Harry Kane, Marcus Rashford, Joe Hart, Jamie Vardy, Delle Alli, Raheem Sterling and Gary Cahill, among others. Midway in the qualifiers, Scotland have so far tallied two wins, a draw and two defeats. They trail group leaders England by six, Slovakia by two and Slovenia by one point. Under the format, the group winners go through to the finals while the best eight runners-up play in two-legged play-off matches. And as they brace themselves for this vital encounter, the Scots will be focused to stay in the hunt of reaching a first major finals since the World Cup in France in 1998. They have up to September to do so. That is when the campaign continue with an away tie against Lithuania and a home game against Malta, before October’s concluding pair of matches at home to Slovakia and away to Slovenia. Pressure will be on for both sides but we see the Three Lions pulling through over the Scots.